It has been such a strong year for movies that I couldn't narrow my best-of-the-year list to only ten titles. My pick for my Number #1 movie is a strong four-way tie because I truly believe that each film in that category deserves the top slot as they all added something new to the language of cinema. If you count, you may notice that my top ten consists of 30 films. But who's counting. See Part II (published before Part I) for my list of the top ten Documentaries. You can also check out the cumulative Top Ten lists from the RogerEbert.com writers here, as well as their individual Top Ten lists here. 1. 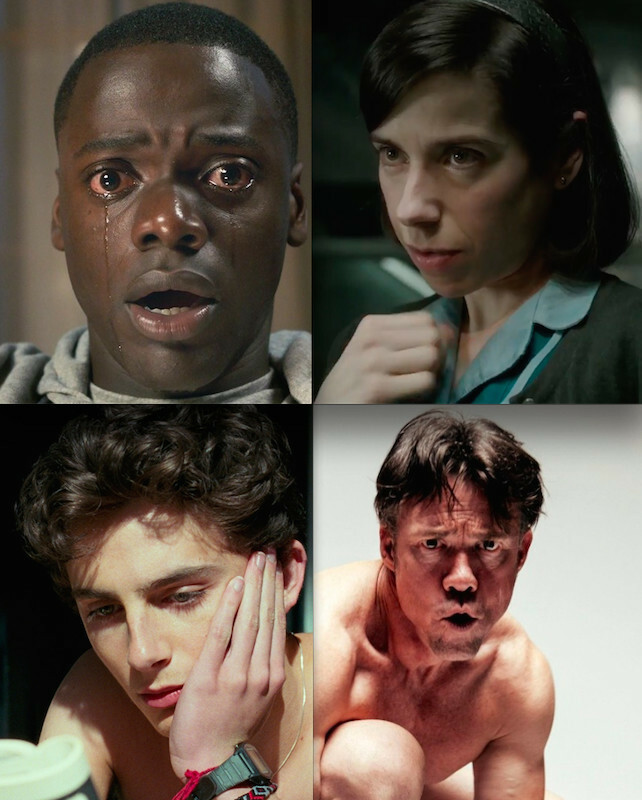 "Get Out," "The Shape of Water," "Call Me by Your Name," "The Square"
Jordan Peele's amazing film, "Get Out," has been at the very top of my list ever since I saw it back in February. Peele, making his directorial debut with this seriocomic yarn about a young black man visiting the parents of his white girlfriend, showed us something on screen that we really haven't seen before. It's a psychological horror-thriller-satire that glides through layers of racial nuance and strips bare the facades we wear for each other. And he did it all in an extremely entertaining fashion. You have to see it more than once to analyze how deftly he does it. I honestly wouldn't be surprised if it won Best Picture this year. Another surefire contender is Guillermo del Toro's "The Shape of Water," a love story that combines elements of "Beauty and the Beast," and "Creature from the Black Lagoon." Heading this beautiful, wondrous story is leading lady Sally Hawkins, whose performance is deserving of an Oscar nomination (she's also well-supported by co-stars Richard Jenkins, Michael Shannon, Octavia Spencer and Michael Stulbarg). Hawkins plays a speech-mute cleaning lady at a secret government facility during the Cold War era who duly walks through the routines of her drab life until she is jolted awake by feelings of love for this creature from the waters of South America. The creature understands her and accepts her for who she is when not many others do. The intensity of her passion in the scene where she tries to convince Jenkins to help her rescue the creature is alone worth the price of admission. She has you rooting for them. Guillermo is a masterful storyteller who brings true art to his special effects. But what this film does for the heart is what commends it most of all. Joining these frontrunners is "Call Me by Your Name," the exquisite new film by Luca Guadagnino, whose ravishing 2009 melodrama, "I Am Love," starred Tilda Swinton and was loved by Roger. His latest film features Timothée Chalamet as an Italian teenager who falls for his father's research assistant, played by Armie Hammer in a revelatory performance. Hammer has never been more free and emotionally expressive on screen. And Chalamet shines in this coming-of-age romance. The lush Italian countryside mirrors the sensuous stirrings slowly simmering below the surface. Michael Stuhlbarg as Chalamet's father gives a wise unexpected speech at the end that any young person struggling with his sexuality would be fortunate to hear. This is another frontrunner for Best Picture. Last but not least is this year's Cannes Palme d'Or winner, "The Square," from Swedish filmmaker Ruben Östlund. Like his previous picture, "Force Majeure," "The Square" examines the peculiarities and habits of people of privilege being put in situations that cause them to question their very beliefs about how the world works and whether they have taken their social status for granted. In this marvelous send-up of the art world, Claes Bang plays the director of a modern art museum. One of his installations intended to engender sympathy actually puts him in an unusual situation that causes stress in his life. The situations confronting him begin to become as surreal as the art installations in his museum. Some of the vignettes even remind me of the Swedish director Roy Andersson's "Songs From The Second Floor." In one particularly memorable scene at a lavish black-tie fundraiser for the museum, a man acting like an ape (played by Terry Notary of the "Planet of the Apes" films) is brought out to interact with the guests. However, as his ape character inflicts violence on the guests and he continues to push the envelope further and further, we begin to wonder when, or whether, anyone will intervene. Whose responsibility is it to call "Enough." In a way that is similar to impolitic behavior we unfortunately see playing out in our nation on a daily basis, the ape's abuse is laughed at until it proves, like the happenings in our own very real world, to be no laughing matter. 2. 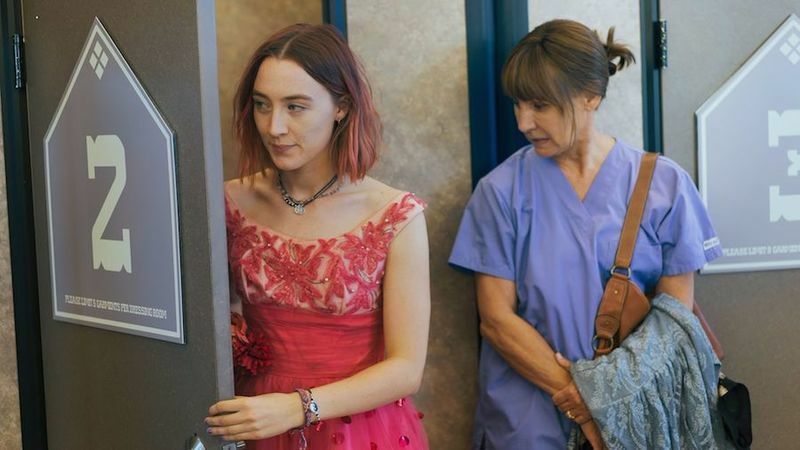 "Lady Bird," "The Big Sick," "Breathe"
Think of the greatest example of a young actor channeling Woody Allen, and that is essentially what Saoirse Ronan does for her writer/director in "Lady Bird." It's a semi-autobiographical comedy that marks the solo directorial debut of Greta Gerwig, the gifted star and co-writer of "Frances Ha." Ronan's embodiment of Gerwig is flat-out uncanny, and she's joined by an excellent supporting cast headed by Laurie Metcalf as her mother and Tracy Letts as her father. Another endearing comedy based on the real-life experiences of its filmmakers is Michael Showalter's "The Big Sick," a lovely film about the budding romance between a stand-up comedian (Kumail Nanjiani playing himself) and a grad student (Zoe Kazan standing in for his real-life wife). When a sudden illness places her in a coma, Nanjiani develops a surprising bond with her parents, played to perfection by Holly Hunter and Ray Romano. And in yet a third film based on real life characters, we see similar devotion displayed by actress Claire Foy to her husband (played by Andrew Garfield) when his body is left paralyzed by polio in Andy Serkis' directorial debut, "Breathe." This is based on the lives of Serkis' friend's (John Cavendish's) parents. I was overcome with emotion while watching the film, since I recognized the truth in its portrayal of the resilience of the human spirit. Garfield and Foy so poignantly captured the dynamic between a caregiver wife and her disabled husband as they stubbornly insist on living their lives with enjoyment and dignity despite the limitations imposed by his illness. Amazingly, they contributed to the invention of the wheelchair. 3. 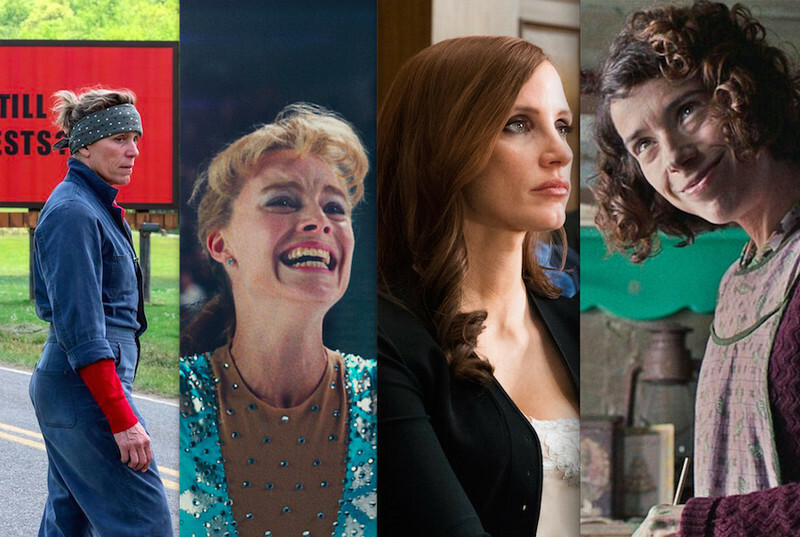 "Three Billboards Outside Ebbing, Missouri," "I, Tonya," "Molly's Game," "Maudie," "Lady Macbeth"
This category is so chock-full of outstanding performances by women that it will make this awards season one for the books. Acclaimed playwright Martin McDonagh's third feature as writer/director is a sobering call for empathy masquerading as a vengeful comedy, though it also has plenty of laughs to spare. Frances McDormand commands the screen as a mother enraged at the local police department's ineptitude in finding her daughter's killer. After renting out three billboards to light a fire under them, her actions trigger a local war. The fine cast includes Sam Rockwell, Woody Harrelson, John Hawkes, Abbie Cornish and Peter Dinklage. McDormand is one of many strong Best Actress contenders this year. In Craig Gillespie's "I, Tonya," Margot Robbie succeeded in making me empathize with a woman famously scorned by the media, Olympic skater Tonya Harding. Jessica Chastain brought fierce strength to her role as Molly Bloom, an Olympic skier-turned-poker game maestro in Aaron Sorkin's debut feature, "Molly's Game." And in addition to her nomination-worthy work in "The Shape of Water," Sally Hawkins was equally riveting as a Nova Scotia painter battling arthritis and an abusive husband in Aisling Walsh's touching "Maudie." Delivering one of the year's great breakout turns was 21-year-old Florence Pugh in William Oldroyd's "Lady Macbeth," a riveting account of a woman's efforts to break free from the stifling trap of 19th century English society. Pugh deservedly won the British Independent Film Award for Best Actress, though Naomi Ackie should be equally celebrated for her shattering portrayal of a black servant rendered speechless in the face of her master's indifference. 4. "Loveless," "A United Kingdom," "Victoria & Abdul"
Andrey Zvyagintsev’s Russian drama, "Loveless," is about a decidedly unlikable couple going through a bitter divorce. Their fighting, and lack of attention, drive their 12-year-old son to run away from home. In one heartbreaking scene we watch his face as he hears both parents talk about how they don't want him. Just rips you apart. And the rest of the movie follows these two parents as they search for their child. The film is an intensely harrowing portrait of an ugly marriage. Zvyagintsev handles this beautifully as he piles on the resentment they have for each other, before he allows for a small bit of redemption to these two very imperfect parents. Their story is set against the national backdrop of negative power politics between Russia and the Ukraine and doesn't show Russia in the most positive light. That makes it all the more surprising that "Loveless" is Russia's entry for the Academy Awards. This film drills deep. Some of the landscapes of abandoned buildings look like scenes from another planet. Providing a welcome burst of hope this year were two fact-based crowd-pleasers, Amma Asante's "A United Kingdom," about the King of Botswana (David Oyelowo) and his controversial marriage to a white Englishwoman (Rosamund Pike), and Stephen Frears' "Victoria & Abdul," about the taboo-busting friendship between Queen Victoria (Judi Dench) and an Indian clerk (Ali Fazal). Whereas "Loveless" is about a society eroding from its lack of empathy, these two films are a reclamation of it. I had a very hard time watching Dee Rees' historical drama about two young men—one black, one white—returning to their racist town in Mississippi after the war. The film is extremely well-acted, written and directed, but its portrayal of racism personified by the KKK was nearly too much for me to bear. Thankfully, the story is ultimately an uplifting one about humanity transcending the barriers of prejudice. Jason Mitchell, Garret Hedlund, Carey Mulligan, Jason Clarke and Mary J. Blige should be applauded for their work here. There is no doubt that Dee Rees is one of our best up-and-coming filmmakers ("Pariah," "Bessie"). I hope she continues to make films for years to come. In many ways, Reginald Hudlin's "Marshall" would make a fitting double bill with "Mudbound," since it serves as an antidote to the oppression endured by Rees' characters. Chadwick Boseman delivers another magnetic performance as Thurgood Marshall, a lawyer who went on to become the first African-American Supreme Court Justice. I met Justice Marshall when I was in law school, and Boseman captures his intelligence, swagger, confidence and passion for the equal protection of the law. The film concludes with a pointed cameo from Trayvon Martin's parents, accentuating how the fight for justice and equality is far from over. Another relevant time capsule was offered by Rob Reiner's "LBJ," a riveting look at President Lyndon Johnson (played by Woody Harrelson) and his dogged efforts to pass the Civil Rights Act. It is fascinating to watch how LBJ grows into the office of the presidency after the assassination of President John F. Kennedy. Harrelson's vulnerability is key in showing how LBJ suffered from feelings of inferiority to the Kennedys. And Jennifer Jason Leigh gives a fine performance as Lady Bird Johnson, constantly whispering in her husband's ear that he is indeed good enough. 6. 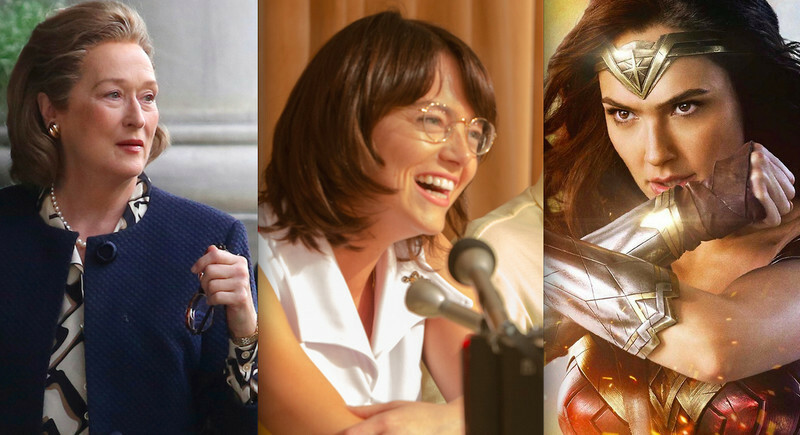 "The Post," "Battle of the Sexes," "Professor Marston and The Wonder Women," "Wonder Woman"
Talk about the right movies at the right time! All of the films in this section are as topical now as when the events occurred long ago. And even the fictional film, "Wonder Woman," feels like it could be taking place in real time. Steven Spielberg rushed ("The Post") this timely drama about President Nixon's attempted censorship of the media into production as President Trump continues to bully and demonize whistleblowing journalists on a daily basis. Meryl Streep is magnificent, of course, as Katherine Graham, the publisher of The Washington Post who inherits the paper after the death of her husband (who was made the head of the paper by her father, bypassing her.) It is sobering to watch how she struggles to have her voice heard amidst a largely male staff even though she is the boss. Her strength, as she comes into her own, is immensely inspiring to witness. Are there lessons here for today's battle between the president and the press? One film being largely overlooked this season is "Battle of the Sexes," the latest crowd-pleaser from "Little Miss Sunshine" directors Jonathan Dayton and Valerie Faris. It entertainingly recounts the 1973 tennis match between world champion Billie Jean King (Emma Stone) and hustler Bobby Riggs (Steve Carell). The film is remarkably evocative of the period that it portrays. People may have forgotten how important the match was. The Virginia Slims Tennis Tournaments didn't come about because women liked to smoke, but because the professional women tennis players were banned when they went on strike for equal pay. Viewers who think Carell's spot-on performance goes overboard should revisit footage of Riggs himself, whose showmanship is glimpsed in the end credits. One thing the film does that was perhaps unknown is give us a glimpse into the balance Riggs' wife (portrayed by the wonderful Elizabeth Shue) brought to his life. Stone's exceptional portrayal of King makes me wonder if there is anything Emma Stone can't do. She wouldn't have been my first choice to play Billie Jean King, but I would have been wrong. She is marvelous. What surprised me the most about the picture was the fact that it made me think of how far we still have to go in our campaign for human rights. Another instance of the truth being far stranger than fiction can be found in Angela Robinson's "Professor Marston and the Wonder Women," where we learn the true origins of the Wonder Woman story. Harvard psychology professor, Dr. William Marston (Luke Evans) shares an unconventional living arrangement with two women, his wife (played convincingly by Rebecca Hall) and his student (Bella Heathcote.) Both women are so intelligent, but with different degrees of dominance and submission, that it inspires him to combine their characteristics to create the titular superhero. They all paid a heavy price for their lifestyle. It's a story that will knock your socks off. However, you may never look at Wonder Woman's wristbands and lasso in the same way. It certainly deepened my enjoyment of Patty Jenkins' phenomenally successful blockbuster, "Wonder Woman," the highest-grossing film made by a female director to date. This is Jenkins' follow-up to her smaller, but Oscar nominated "Monster," starring Charlize Theron. Jenkins shows that a successful superhero movie can be about a woman, by a woman, and compassionate. What I loved the most were the pictures of young girls dressed up as the superhero while striking poses that exuded strength and empowerment. For years we saw mainly boys flying around in make-shift capes as Superman. Patty Jenkins is saying, "Move over fellas, there's a new superhero in town." 7. "The Florida Project," "First They Killed My Father"
Sean Baker's "The Florida Project" is a touching and naturalistically shot portrait of latchkey kids living in an impoverished motel community outside Disney World. Their world, though physically close to the Magic Kingdom, is far, far apart. Willem Dafoe gives a compassionate performance as the manager of the motel residence, and he could easily win his first Oscar for this film. Yet it is pint-sized Brooklynn Prince who steals the show as Moonee, a girl intent on treating her surroundings as her own private playground. 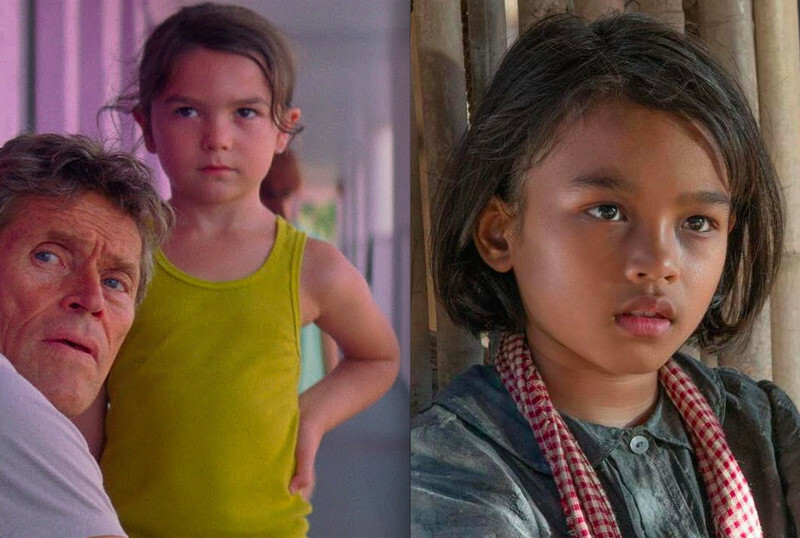 Angelina Jolie's wrenching drama, "First They Killed My Father: A Daughter of Cambodia Remembers," is her most accomplished directing to date and like "The Florida Project," views its tale through the eyes of a young girl. It is based on the memoir by human rights activist Loung Ung, who experienced the horrors of the Cambodian genocide as a child, portrayed here by the luminous Sareum Srey Moch. Like Jolie's 2014's "Unbroken," the film is a fact-based tribute to the endurance of the human spirit in unthinkable circumstances. I couldn't resist putting these two together since they inadvertently serve as a fitting double bill. 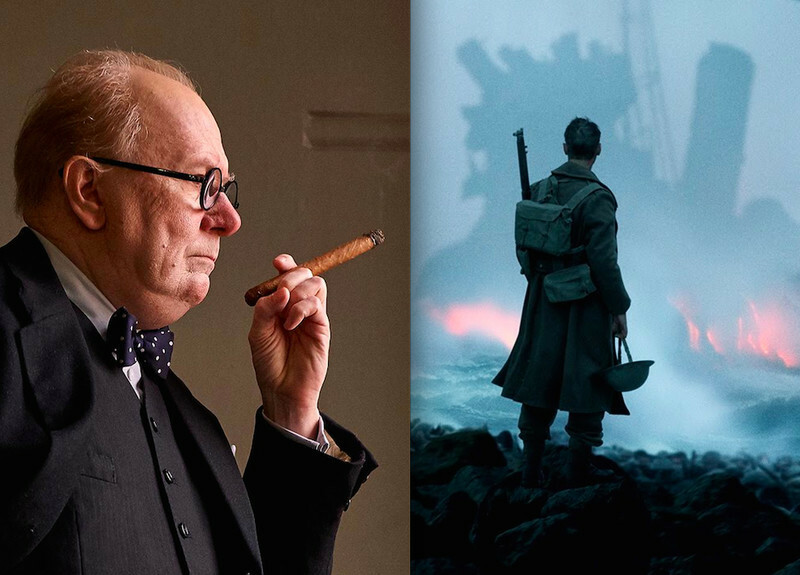 Whereas Christopher Nolan's "Dunkirk" makes us feel the relentless horror experienced by young soldiers stranded on the titular beach, Joe Wright's "Darkest Hour" explores what led Winston Churchill (played by Nolan favorite Gary Oldman) to deliver his famous "We shall fight them on the beaches" speech. Both films conclude with this monologue (recited in "Dunkirk" by a young soldier), and they play off one another in all sorts of provocative ways. 9. 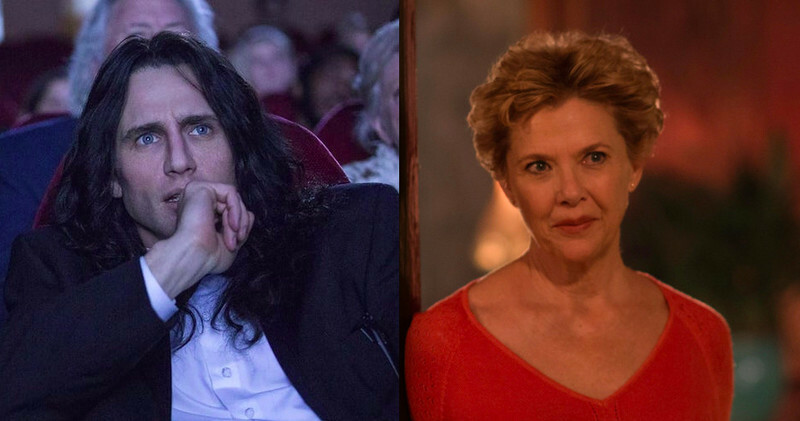 "The Disaster Artist," "Film Stars Don't Die in Liverpool"
James Franco delivers the performance of his career as Tommy Wiseau, a director who, like Franco, is often misunderstood. Unlike Franco, of course, Wiseau is a bad filmmaker on the order of Ed Wood, yet his determination to realize his vision—while empowering the confidence of his friend, Greg Sestero (Dave Franco)—ultimately makes him endearing. His resulting feature, "The Room," has gone on to become the biggest midnight movie phenomenon since "The Rocky Horror Picture Show," and though I haven't seen it, I just might after viewing Franco's highly enjoyable film, scripted by Scott Neustadter and Michael H. Weber (whose great coming-of-age drama, "The Spectacular Now," previously screened at Ebertfest). Telling an equally surprising real-life love story is Paul McGuigan's "Film Stars Don't Die in Liverpool." The film is based on the memoir by Peter Turner in which he recounts his love affair with Hollywood film star Gloria Grahame while he was a much younger up-and-coming actor. Annette Bening gives a mesmerizing performance, nailing the voice and sexiness and vulnerability of Grahame. And in scenes showing how their relationship progresses, Jamie Bell gives an equally enthralling portrayal of Turner. This has a magnificent supporting cast with Julie Walters, Jim Broadbent, Vanessa Redgrave and Frances Barber. Kathryn Bigelow is still the only woman to earn an Oscar for Best Director, though that could very well change this year with contenders such as Greta Gerwig and Dee Rees in the mix. 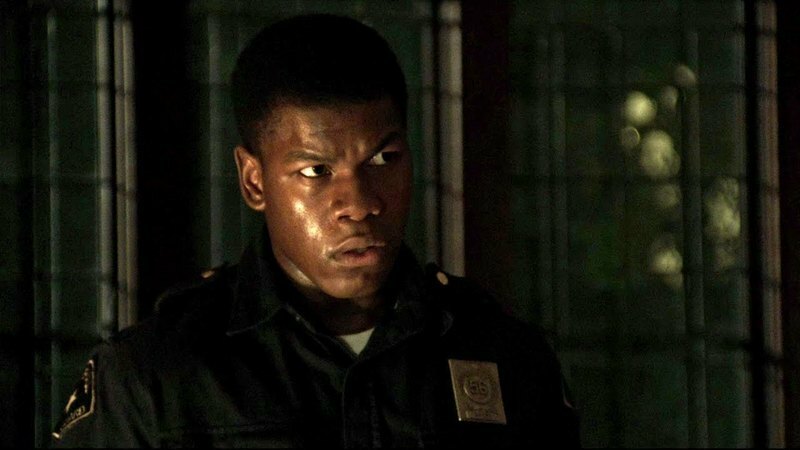 I believe that Bigelow deserves to be a contender as well for her shattering drama, "Detroit." 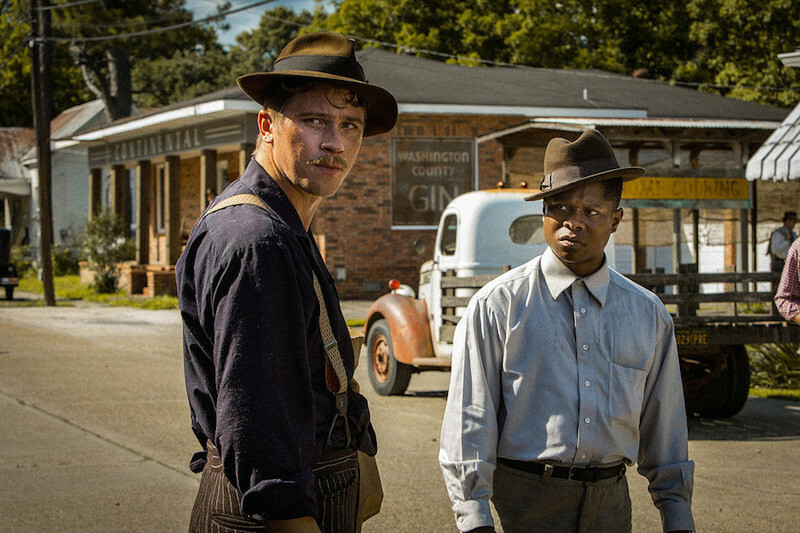 Though it proved to be divisive among critics, and an even harder watch than "Mudbound" because of the extensive dehumanizing violence, I believe it is an important achievement. Not many people knew about what happened at the Algiers Motel in Detroit in 1967, and this film places you directly in the brutality of the moment. Plus it contains one of the year's strongest ensembles, featuring excellent performances from John Boyega, Algee Smith, Anthony Mackie, "Mudbound" star Jason Mitchell and many others. I also was transfixed by the moral dilemmas presented in Joseph Ceder's "Norman: The Moderate Rise and Tragic Fall of a New York Fixer." Even with all of his previous iconic performances, this gives Richard Gere one of the best roles of his career as a small-time operator who craves the respect he derives from doing favors for influential people. Is Norman a fraud and con-man or is he a diplomatic fixer who knows how to manipulate the system. The beauty of this film is it doesn't operate in the black and white zone, but trips ever so ambiguously through the shades of gray. In that sense it reminds me of Ashgar Farhadi. For a good time at the movies see one or all of the films above. They are worth your while.